Before you are able to build and test your extension, you must register/add it in the Developer portal. Go to Developer portal link on the top menu. 2. Choose your extension type. Make sure you read the documentation provided in this space to ensure you choose the one applicable to you. The screen to register applications looks like this. 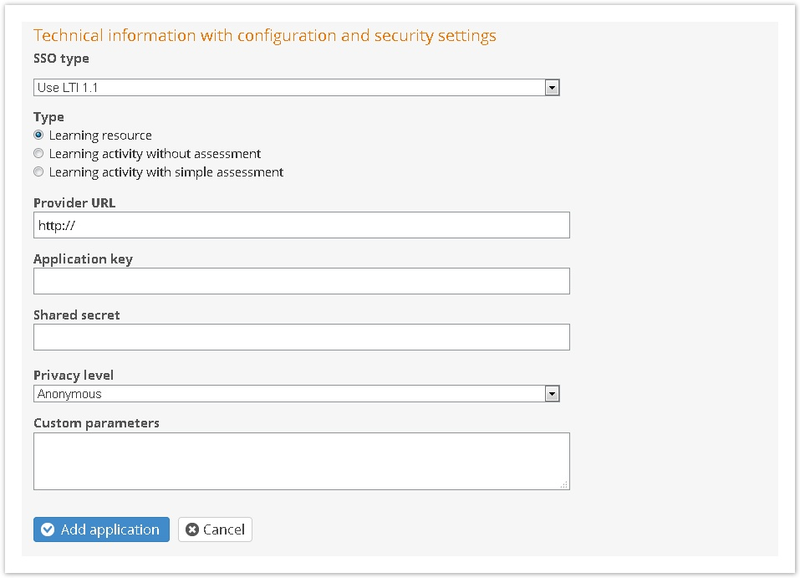 The Technical information with configuration and security settings section of the page can change depending on the item you select in the SSO Type menu. See the following table for explanations of the fields in both these cases. Note: Extensions with SSO type = LTI can be only created and made available for your own site. More details about how to work with LTI tool in itslearning can be found here . A description of your extension, as shown in listings. Select which itslearning markets or customers your extension should be available to. 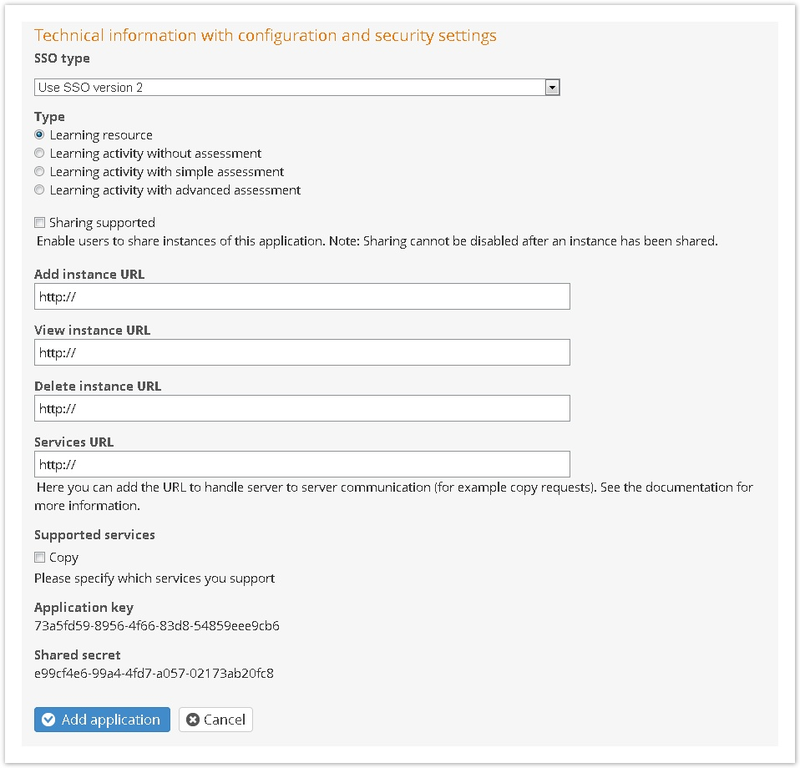 The SSO type for your application. 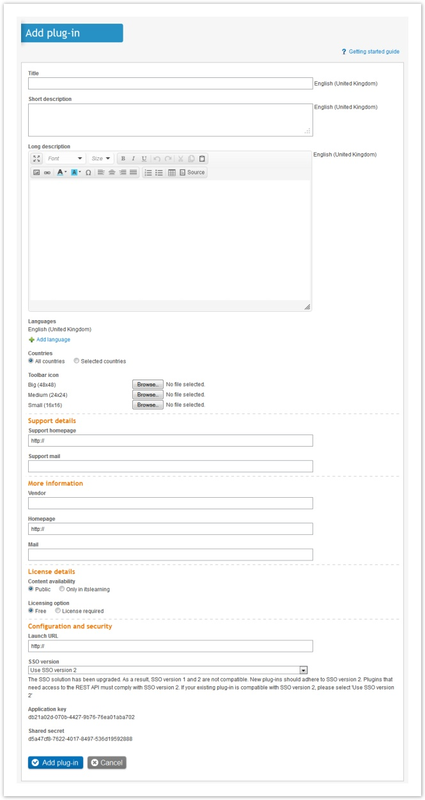 Extensions with SSO type = LTI can be only created and made available for your own site. More details about how to work with LTI tools in itslearning can be found here . You can provide an URL that will serve for server-to-server communication, for example itslearning can call it out to create an instance copy (for the first version copying is the only supported service we introduce). See Copying of application instances for more details. Providing Services URL let you check one of the services that you think your application will support. For now it is only Copy, although the list will be extended in the future versions. See Copying of application instances for more information about implementing the service. This privacy level determines which of your personal information the LTI application can access. The URL to the plugin or module, i.e. where itslearning should send its requests. SSO version 2 should be used. SSO version 1 is deprecated. Modules and plugins now also support SSO Type= LTI. 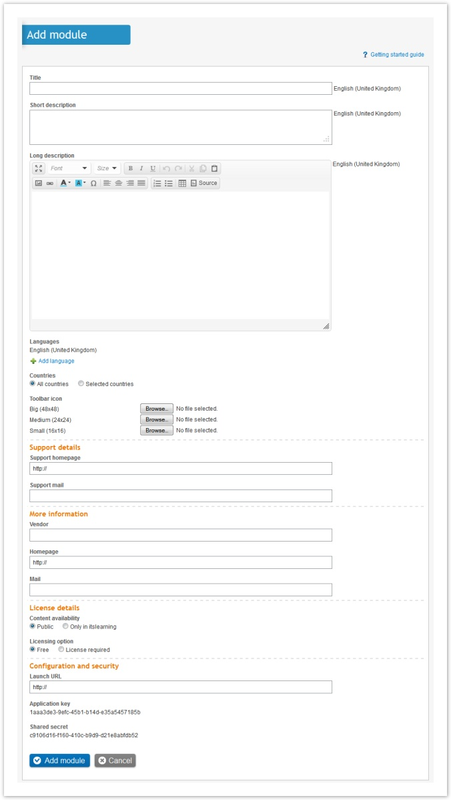 Extensions with SSO type = LTI can be only created and made available for your own site. More details about how to work with LTI tools in itslearning can be found here .